Our children go to a Church of Ireland based school. Most of the schools in Ireland are run on religious lines and the ethos of the school very much depends on the religion that is sponsoring it. Unfortunately there are very few if any evangelical run schools in Ireland and none near us. So schools run by Protestant denominations are probably the closest in ethos to what we would believe. Of course that doesn’t stop them being taught about other religions even to the point of making clay buddhas in school. In general I have no issue with this, its not as if they are asking my children to worship the buddha or anything. 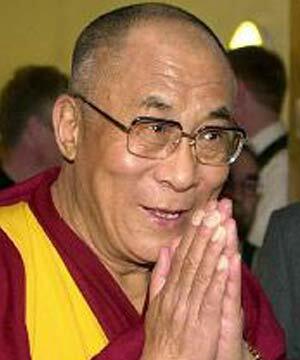 The 14th Dalai Lama is coming to Ireland next week and visiting our home county of Kildare. Apparently he has a particular interest in Brigid a Roman Catholic saint of doubtful pedigree. 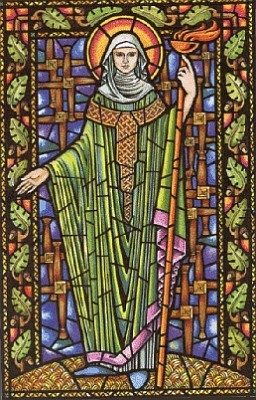 In preparation our children have learnt a particularly suspect song directed to Brigid – who if she was a real human is now dead and so – according to the ethos of the school – should not be sung to. But you know we’ll put up with that. Our children have been educated enough to know these things (not by the school though unfortunately) and we don’t want to make a fuss about relatively minor matters. There are more serious issues in children’s lives than that kind of thing. And sure, haven’t we been taught to be tolerant? Isn’t that the message of the Dalai Lama? What could be wrong with that? Jesus said: “I am the Way, the Truth and the Life. No one comes to the Father except through Me.” John 14:6. My 10 year old daughter quoted that to me recently when I asked her what she thought about the Dalai Lama. You see she has a living relationship with Jesus and she has it, she knows, because He suffered a very cruel death so she could. If the Dalai Lama is right, the answer of God the Father to Jesus in the garden of Gethsemane to his question: “If this cup can be taken away from Me..” should have been: “It can”. Because if the Dalai Lama is right there is another way to the Father, in fact more than one. That makes the Father’s insistence on making His Son go to the cross for our sins the act of either a mad God or a bad one. So when one of my children is asked to sing to Brigid and to the Dalai Lama I’m going to back him up in his own desire not to be made to go and write a letter to the principal of the school explaining why not. Tolerance of other religions is fine but I will not support them. The Christian gospel still has some absolutes.